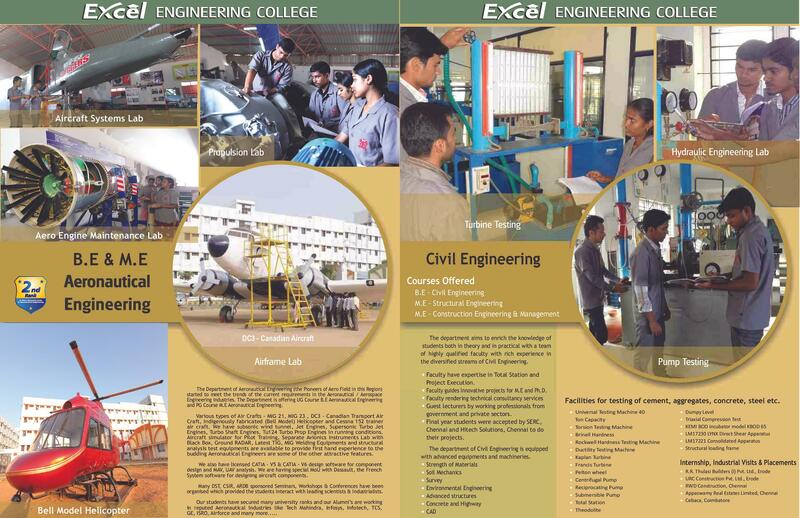 Excel College of Architecture and Planning is a private architecture college in Namakkal, Tamil Nadu. The charitable trust, SRET - Sri Rengaswamy Educational Trust was formed in the year 2001. The trust came into existence with a prime objective to encourage higher education. 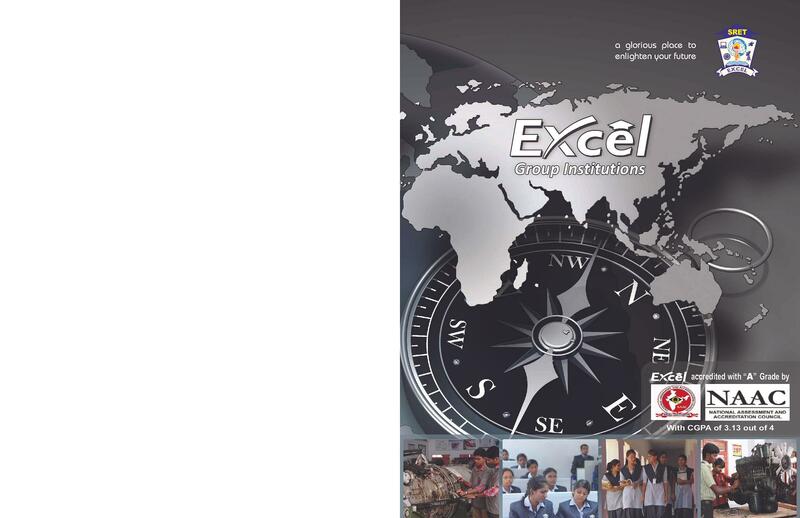 In the year 2007 it started a professional educational institution in the name of Excel Group of Institutions at Pallakapalayam, Namakkal, Tamilnadu, India. These institutions are located in an area of over 100 acres near NH 47. These institutions also offer various programs in Diploma, B. Tech. B. Ed, B.E., Teacher Training courses and P.G. Courses such as MCA, MBA and M.Ed. 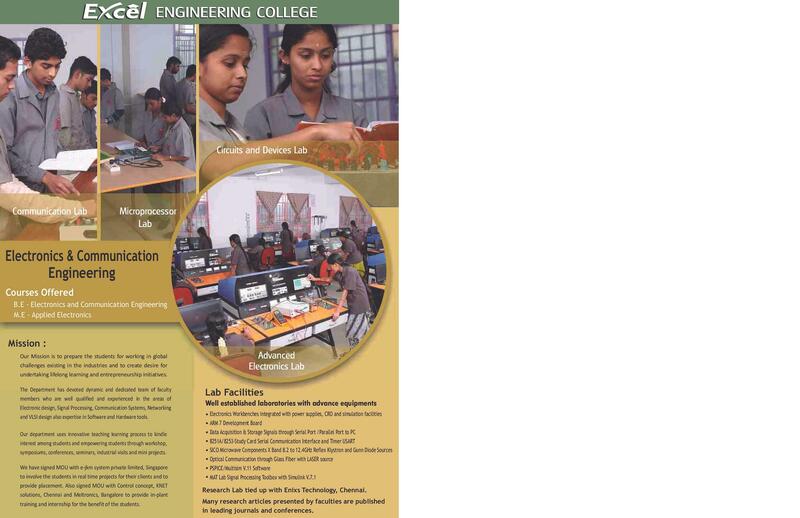 Excel College of Architecture and Planning is situated in Pallipalayam, in Namakkal District. The college offers with B. Arch, which is a 5 year Architecture & Planning course recognized by Council of Architects (COA), New Delhi and is affiliated to Anna University, Chennai. Admission are on basis of HSC score or any equivalent for B.Arch program. 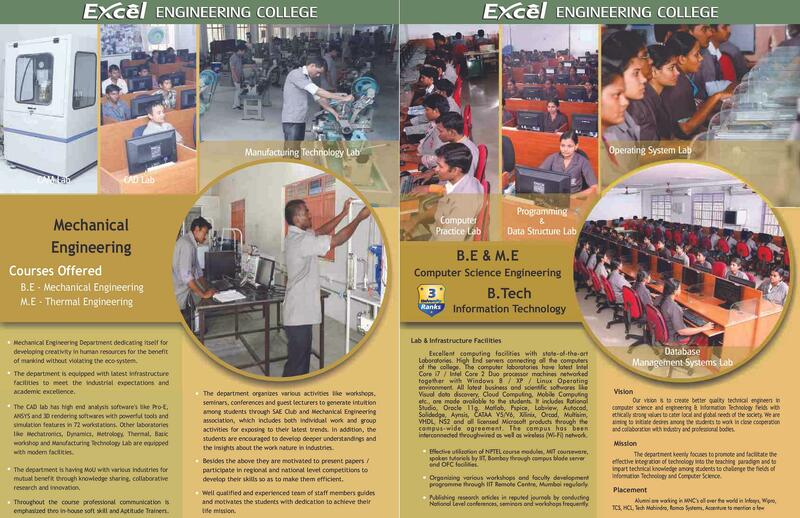 The campus area of Excel College of Architecture and planning is 100 acres. It has Construction yard with 5000 sq ft area, art studio, Design Studio, material museum, Cad lab with 100 highly configured and latest systems. 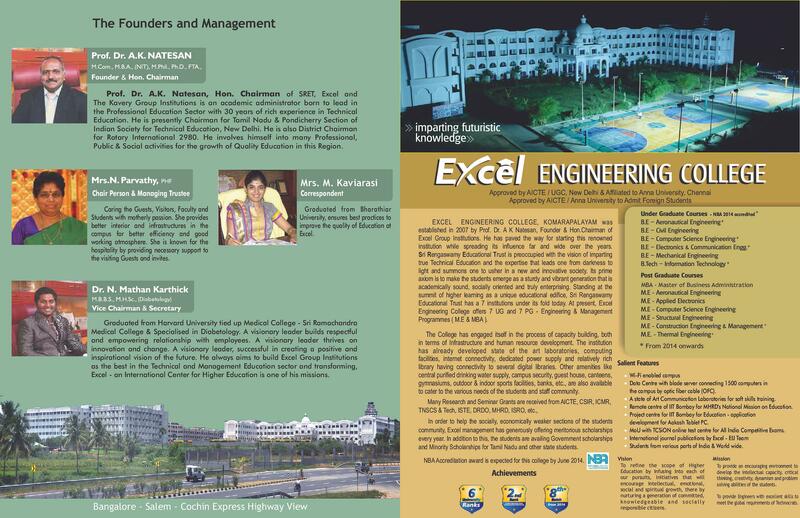 The faculties at Excel College of Architecture and Planning are experienced and qualified from industrial point of view. Hence this gives an apt exposure to students in gaining practical and thereotical knowledge. The College provides buses for the transport of the day-scholar students and staff members. The college buses travel to several destinations and cover a radius of 50 KM. Also a large number of state transport corporation and private buses are available from the college. Department of Physical Education facilitates sport facilities for staff members as well as for students. Students also participate in the certain tournaments like Tamil Nadu Inter Engineering Sports (TIES) and Open Tournaments. The library at Excel has a huge collection of books related to Science and Humanities, architecture, Engineering and Technology. Some Journals and Non-book material are also available. It also has broadband connectivity, e-books, CDs related to subject topics.